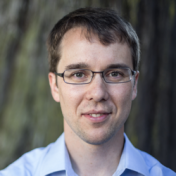 Jon Evans is a novelist, journalist, and software engineer. His novels have been published around the world, translated into several languages, and praised by The Times, The Economist, and the Washington Post. His journalism has appeared in Wired, Reader's Digest, The Guardian, The Globe & Mail, and The Times of India, and he writes a weekly column for TechCrunch. Jon also has a degree in electrical engineering and a decade of experience as a software developer, building everything from smartphone apps to billion-dollar asset-allocation services. Steve Gillmor is a technology commentator, editor, and producer in the enterprise technology space. 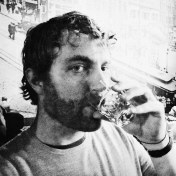 He is Head of Technical Media Strategy at salesforce.com and a TechCrunch contributing editor. Gillmor previously worked with leading musical artists including Paul Butterfield, David Sanborn, and members of The Band after an early career as a record producer and filmmaker with Columbia Records' Firesign Theatre. 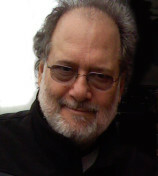 As personal computers emerged in video and music production tools, Gillmor started contributing to various publications, most notably Byte Magazine, where he was a lead reviewer of development and collaborative platform systems including Visual Basic, Lotus Notes, Microsoft Office, and Windows NT. Subsequently, Gillmor served as a contributing editor at InformationWeek Labs, before joining Fawcette Technical Publications first as Senior Editor and later as Editor in Chief of Enterprise Development Magazine, and then Editor in Chief and Editorial Director of XML and Java Pro Magazines. Gillmor joined InfoWorld Magazine as Test Center Director and back-page columnist. He also served as Editor of eWEEK.com's Messaging & Collaboration Center and OpEd columnist of eWeek's print publication. As blogging emerged, he wrote the first blogs for Ziff Davis Media, CMP's CRN, and CNet's ZDNet, where he remains a contributing editor. A podcasting pioneer, he developed and hosted the seminal Gillmor Gang podcast with industry notables including Jon Udell, [Dan Farber](http://www.crunchbase.com/person/Dan-Farber), [Mike Arrington](http://www.crunchbase.com/person/michael-arrington), [Jason Calacanis](http://www.crunchbase.com/person/Jason-Calacanis), [Michael Vizard](http://www.crunchbase.com/person/michael-vizard), [Doc Searls](http://www.crunchbase.com/person/doc-searls) and others as regulars. Gillmor has also championed development of industry standards, most notably his role as co-creator of the attention.xml specification and co-founder of the Attention Trust, a non-profit organization to protect user data rights. 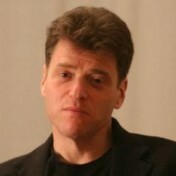 Andrew Keen is an Anglo-American entrepreneur, writer, broadcaster and public speaker. He is the author of the international hit "Cult of the Amateur: How the Internet is Killing our Culture" which has been published in 17 different languages and was short-listed for the Higham's Business Technology Book of the Year award. As a pioneering Silicon Valley based Internet entrepreneur, Andrew founded Audiocafe.com in 1995 and built it into a popular first generation Internet music company. He is currently the host of "Keen On" show, the popular Techcrunch chat show. Andrew is an acclaimed speaker on the international circuit, speaking regularly on the impact of new technology on 21st century business, education and society. Andrew's new book about the social media revolution,Digital Vertigo will be published by St Martin's Press in 2012. M.G. Siegler is a general partner at Google Ventures, where he primarily focuses on early-stage investments. He has been deeply involved in the startup space since 2005, first as a web developer, then as a writer, and most recently as an investor and advisor. Having spent the past year in London helping to get Google Ventures' European organization up and running, M.G. is now back in the Bay Area, working mainly out of Google Ventures' San Francisco office. Before joining Google Ventures, M.G. was a founding partner of CrunchFund, an early-stage investment fund. Prior to that, he reported on the startup world as a writer for both TechCrunch and VentureBeat. M.G. still writes a column for TechCrunch on top of writing on his own sites and from time-to-time doing movie reviews in haiku. Originally from Ohio, M.G. graduated from the University of Michigan in Ann Arbor before moving out west to work in Hollywood. One day, he will write that killer screenplay. 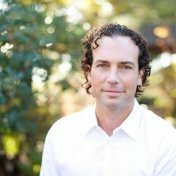 Mike Abbott joined Kleiner Perkins Caufield & Byers in 2011 and focuses on investments in the firm's digital practice, helping entrepreneurs in the social, mobile and cloud computing sectors rapidly scale teams and ventures. Mike serves as an expert resource on enterprise infrastructure, cloud computing and "big data." Mike also helps entrepreneurs win the race for talent in a hyper-competitive recruitment environment. An engineering leader, entrepreneur and investor, Mike led the building of innovative, high-performance applications and services at Twitter, Palm and Microsoft before he joined KPCB. Mike is also an expert in "big data" businesses, having been the Founder of Composite Software (acquired by Cisco). Formerly the vice president of engineering at Twitter, Mike led the team to rebuild and solidify Twitter's infrastructure to eliminate ’The Fail Whale', growing the engineering team from 80 to more than 350 engineers in less than a year and a half, and scaling Twitter's architecture to support hundreds of millions of daily tweets. Before joining Twitter, Mike led the software development team at Palm that created HP/Palm's next-generation webOS platform. Earlier in his career, Mike was the general manager at Microsoft for .NET online services, which became Azure. Mike was also Co-founder of Passenger Inc. Mike has advised and invested in numerous software companies throughout his career, including Cloudera, Hearsay Labs, Jawbone, Saynow, Reverb Technologies, Toytalk and Locu. Mike is a Member of the Board of the USC Viterbi School of Engineering, on the PepsiCo Digital Advisory Board, was a member of the HealthCare.gov Tech Surge Team and remains an advisor to the US Digital Service effort. Mike holds a bachelor's degree from California Polytechnic State University and has completed coursework toward a Ph.D. at the University of Washington. Outside of work, Mike loves to relax by writing software and solving puzzles. He started programming in fourth grade and met Steve Jobs that same year. Mike also enjoys the outdors and has trekked to the base camp of Everest, run the Inca Trail, and competed five times in the Escape from Alcatraz triathlon. James Altucher is an American hedge fund manager, entrepreneur, bestselling author, venture capitalist and podcaster. He has founded or cofounded more than 20 companies, including Reset Inc. and StockPickr. He has published eleven books, and he is a frequent contributor to publications including The Financial Times, TheStreet.com, TechCrunch, Seeking Alpha, Thought Catalog and The Huffington Post. 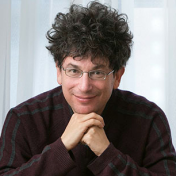 Altucher graduated from Cornell University with a bachelor's degree in computer science in 1989. He later attended Carnegie Mellon University as a doctoral student in computer science. Devin Coldewey is a Seattle-based writer and photographer. He first wrote for TechCrunch in 2007. 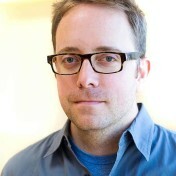 He has also written for MSNBC.com, NBC News, DPReview, The Economist/GE's Look Ahead, and others. His personal website is coldewey.cc. Klint Finley is a reporter for Wired, an occasional columnist for TechCrunch, and the co-host of the Mindful Cyborgs podcast. He has also contributed to publications such as Boing Boing, Oregon Business, ReadWriteWeb, Disinfo, and Shift. Finley covers a range of topics for Wired such as startups, emerging tech, the Internet of Things, privacy, technology law, network neutrality, machine learning, open source, hacker culture, code literacy, and more. Co-founder at Syntexys. Legal Engineer. Lawyer. Board at Free Law Project. Technology law & law technology. Tadhg is a video game designer, producer, creative director, columnist and consultant. He has held roles at various video game development, technology and publishing companies. Since the early 90s, Tadhg has worked on all sorts of game projects, from boardgames and live action roleplaying games through to multi-million dollar PC projects. 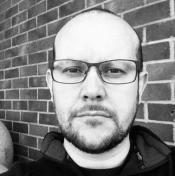 He has served as lead designer, senior producer and a number of other roles at several companies including BSkyB, Lionhead and Climax. He was a cofounder of the social gaming startup Simple Lifeforms before moving on to becoming a consultant in the game design space through founding noted industry blog What Games Are (www.whatgamesare.com). A recent immigrant to the United States, Tadhg has most recently worked at Jawfish Games, OUYA and for some other studios on a consulting basis. Tadhg is currently consulting out of Seattle for a variety of companies under the banner of Tadhg Kelly Game Design, as well as writing a book named Raw Game Design to be published next year by Focal Press and a weekly gaming column for TechCrunch. You can reach him at tadhgk@gmail.com.